The Ladies' Williams Half Zip features attractive colors and stretchable shoulder to create the best promotional product for your events. Impress your valuable customers like never before with the stylish, modern Ladies’ Williams Half Zip pullover as your next promotional giveaway and get a lot of appreciation from them. 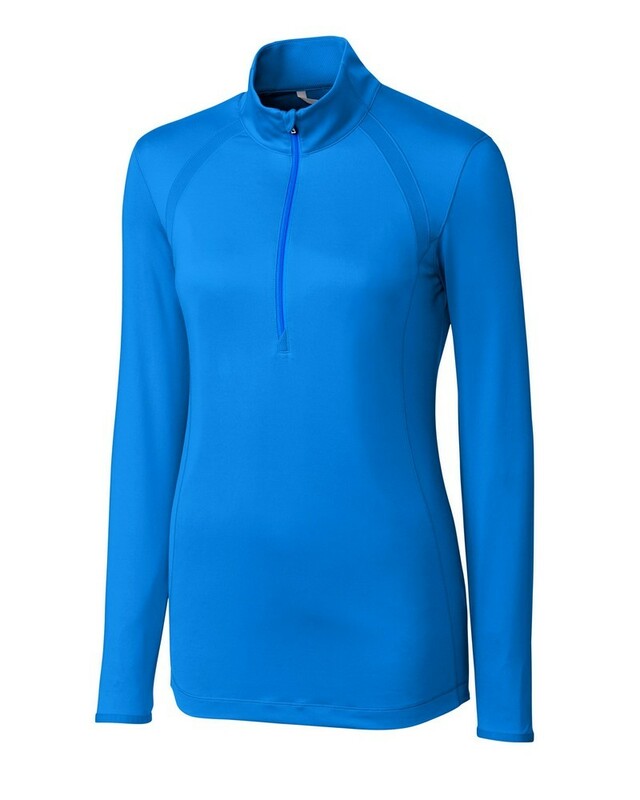 This specially designed ladies outfit is made from soft feel, lightweight blend of polyester and spandex with DryTec moisture wicking technology to keep the person cool, comfortable and dry all day in any season. Self fabric mock collar with chin guard offers ultimate weather protection for flawless performance. Design features like zipper garage, stretch elastic binding at sleeve hem, heat transfer details, open bottom and exposed zipper impart a stylish yet elegant look to the pullover perfect for modern styling. Choose your colors and imprint your brand logo to get maximum visibility for your brand with this promotional item.